No doubt, blockchain and cryptocurrency are the buzzwords of this year and they will likely remain a hot trend for a couple of years to follow. 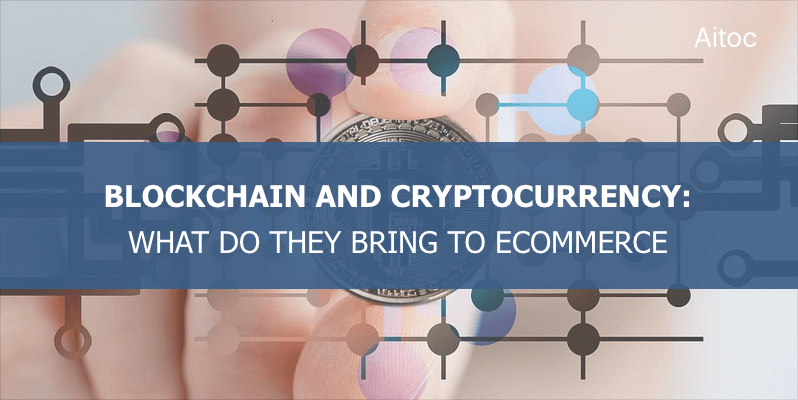 Ecommerce has drastically evolved over the last decade, but blockchain is showing the potential to transform the industry beyond recognition. 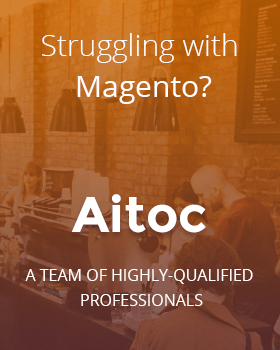 In this post, Aitoc discusses how the new technology changes the ecommerce world and what benefits it can bring. Online merchants have to deal with a variety of challenges on a day-to-day basis, leveraging conventional, well-known methods to overcome them. However, with customer demands and expectations ever rising, the efficiency of traditional approaches seems to decrease. They have become more tech savvy and are now looking for a more convenient, secure, and engaging service when it comes to buying online. With its decentralized data and highly protected transactions, blockchain opens up a brand new way for ecommerce businesses to address modern buyers’ needs. A technology powering cryptocurrencies like Bitcoin, blockchain refers to a distributed database, or ledger, of records. The most recent transactions, called “completed” blocks are recorded and stored in it in a chronological order. This allows market participants to keep track of digital currency transactions without central recordkeeping. Since these transactions are instantly distributed over the network and are visible only for authorized users, it becomes almost impossible to forge them. Today, industry leaders are continuously investing in the research and adoption of the blockchain technology. For instance, a group of retail giants, including Walmart and Unilever, have announced their collaboration with IBM. They see the new technology as an opportunity to upgrade their data management process and keep digital records secure. Thus, it goes without saying, that the power of the blockchain cannot be underestimated. Now let’s take a look at the most feasible advantages the blockchain can offer to the ecommerce industry. Enabling digital currency, the blockchain provides an opportunity to decrease costs and complexity of payment transactions. Thanks to the smart contracts (software tools that self-execute contract instructions), the efforts needed for contracting and fulfilling payments can be reduced. Thus, transferring funds between accounts in different countries will take hours or even minutes, instead of weeks. And, of course, backed by the blockchain, online payments can become highly protected and secure. It all will free online sellers from transaction fees and security issues, making it a lot easier to enter new markets. The ecommerce supply chain engages includes multiple parties. These may include suppliers, manufacturers, distributors, retailers, and many others. Activities involved with, for instance, ordering, shipment tracking, delivery management or pricing are conducted independently in different in-house systems by each party. It obviously takes a lot of effort to unite all this data and ensure its integrity. With blockchain, order details, payment transactions, and other critical data can be stored securely on a single platform. This way, each supply chain member can make necessary data visible to the others easily. Such visibility improves inventory management, as well as overall monitoring and forecasting, eliminating the risks of stockouts, delays, and disorganization. Product transparency is one of the main aspects affecting customers’ decision-making. Buyers want to know where products were made and what are they made of, were they produced ethically, and so on. So, if a company fails to provide the relevant and trustworthy information, it will most likely lose its customers. The blockchain ensures higher transparency, allowing every supply chain member to keep track of the product’s journey. Despite the progress made over the years, we believe that ecommerce still has a room for improvement. And blockchain might be the ultimate leverage for that. With its potential to drive a more streamlined, transparent and secure way of doing business online, it will definitely continue to shape the industry for the years to come.